Located in Southeastern Arizona, Casa Grande Ruins National Monument (www.nps.gov/cagr) isn’t exactly on the way to anywhere. But then again, the Ancient Sonoran Desert People who inhabited this space may have cherished that isolation. Today this window on the past offers a glimpse into a society shrouded in mystery. 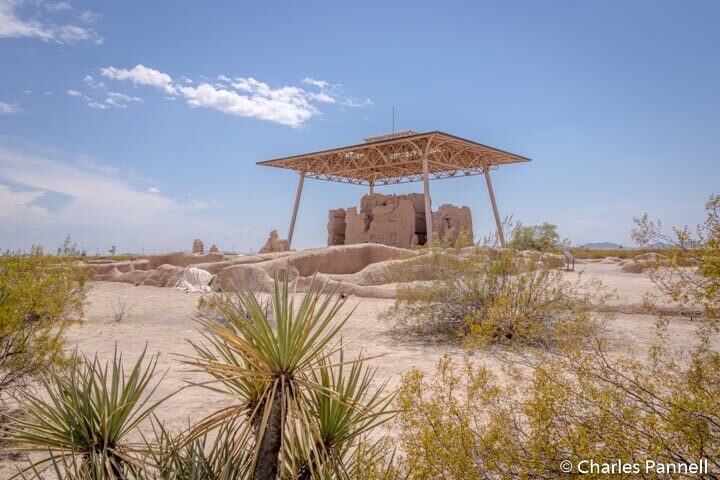 Located in Coolidge, about 35 miles from Interstate 10, it’s a little off-the-beaten-path, but it’s definitely worth a slight detour. Accessible parking is located next to the visitor center, near an accessible picnic area. From there, a level path leads over to the front door. 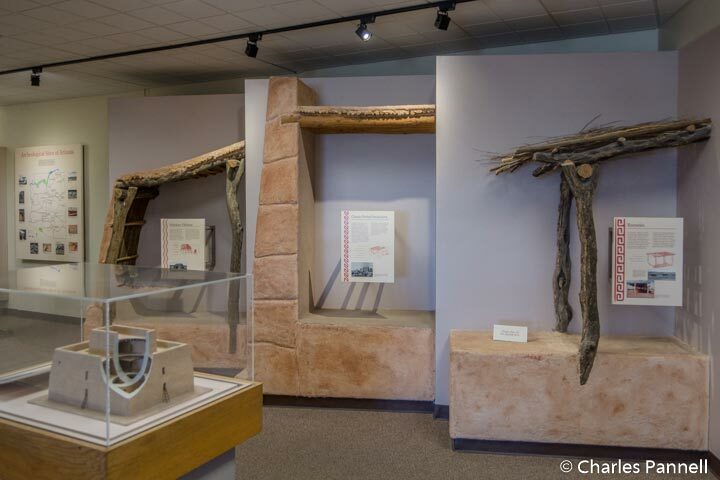 Inside there’s plenty of room to navigate a wheelchair around the interpretive exhibits, which focus on Hohokam archeology and the history and mystery of the Ancient Sonoran Desert People which inhabited Casa Grande for about 100 years. These hunter-gatherers abandoned the site around 1450, and today the O’Odham, Hopi and Zuni people trace their lineage back to these ancient peoples. Out back a short paved path leads over to the ruins, which is covered by a metal canopy to protect it from the elements. Named Casa Grande (big house) by the early Spanish explorers, it’s the largest prehistoric structure built in North America. And since the Ancient Sonoran Desert People left no written language behind, its exact purpose remains a mystery. What is known is that it is part of a collection of settlements along the Gila River that are linked by a network of irrigation canals. Casa Grande could have been a gathering place for the ancient people, or even a waypoint along the canal system. That’s part of the mystic of the site — the unknown. The building itself appears to be purposely constructed though. The walls of the four-story structure face the cardinal compass points, and a circular hole in the west wall aligns with the setting sun on the summer solstice. There are also several other openings in the structure that align with the sun and moon at different times of the year. Access is excellent at the site too, with a level hard-packed dirt path around the ruins, and several vantage points for good interior views. As for the Ancient Sonoran Desert People, nobody really knows why they abandoned the site. Theories include drought, floods, disease, invasion, earthquakes and internal strife. But then again, this mystery is part of Casa Grande’s allure. 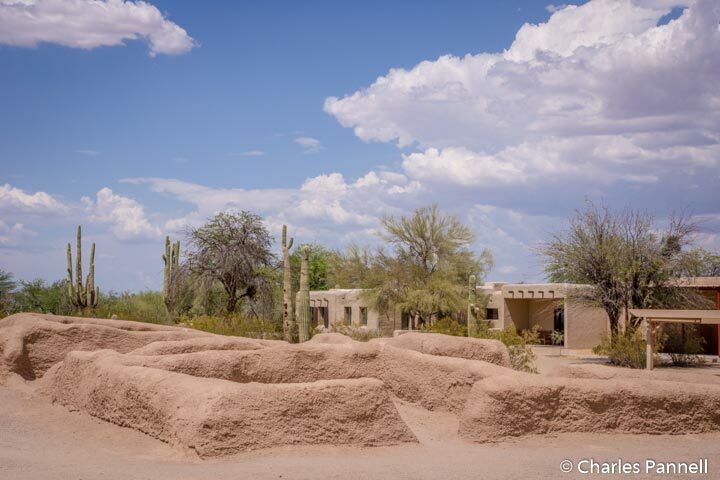 Bottom line — it’s a fascinating archeological site, and a must-see on any Southern Arizona road trip.